New Delhi: Central Information Commission on Monday (19 June 2018) issued a path-breaking order instructing in categorical terms that the information seeker should possess the right to inspect the documents as per the provisions of the RTI Act, 2005 and as per the Supreme Court dicta (in the judgement of CBSE and Anr. v. Aditya Bandopadhyay and Ors. SLP(C) NO. 7526/2009. The above order, passed by Central information Commissioner Bimal Julka, has come in response to an RTI application to seek information on five points regarding Gender Champions nominated or appointed by the University of Delhi in compliance of letter of 3 August 2016 sent by Secretary, UGC to Vice Chancellor, Delhi University and UGC (Promotion in Equity in Higher Education Institutions) Regulations, 2012, answer scripts for his Semester IV Examinations of L.L.B, name of the Ombudsman appointed or nominated by JNU in accordance with the UGC (Grievance Redressal Regulations, 2012) and other related issues. The Commission observed that essentially the issue required to be decided in the present instance was whether inspection of answer scripts could be allowed to the Appellant “in his own case”. During the hearing, the Respondent (CPIO, University of Delhi) referred to the decision of the High Court of Delhi in the matter of University of Delhi vs. Abner Ignity W.P. (C) 1873/2016 (10 August 2017) and the matter of ICSI Vs. Paras Jain; SLP (C) No. 12692/2014 which was pending adjudication before the Supreme Court. 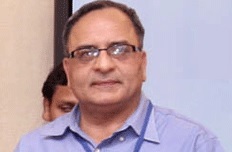 The Respondent also apprehended that allowing inspection of files would render their own mechanism of providing certified copy of answer scripts as per the fee prescribed in their regulations as meaningless since the candidates would certainly opt for inspection of records as per the provisions of the RTI Act, 2005/ RTI Rules, 2012. Furthermore, it was also apprehended that allowing inspection of records would make the process cumbersome since they would be required to maintain two separate mechanism i.e., one for providing hard copy as per their own regulation and another for inspection of answer sheet as per the RTI Act, 2005 and that the candidates could misuse the inspection process to take digital images of their answer scripts. On being queried by the Commission, on whether the issue regarding providing inspection of answer sheet under RTI Act, 2005 was also pending adjudication before the Courts, the Respondent “feigned ignorance” and re-iterated that providing inspection of answer sheet would render their existing mechanism of providing hard copies as per their existing guidelines redundant. The Commission observed that the Supreme Court in the matter of CBSE and Anr. v. Aditya Bandopadhyay and Ors. SLP(C) NO. 7526/2009 observed that every examinee will have the right to access his evaluated answer-books, by either inspecting them or taking their certified copies ,unless the same was exempted under Section 8 (1) (e) of the RTI Act, 2005. The CIC order points out that the issue pending adjudication before the Supreme Court of India in the matter of ICSI vs. Paras Jain SLP (No) 12692/2014 was essentially pertaining to payment of charges as prescribed under the Act or as per the rules framed by the concerned institution. The issue of allowing inspection of answer sheet, without availing their copies is an entirely different matter. The provisions of Rule 4 of the RTI Rules, 2012 provide for stipulating the fee for furnishing information as per which different fee is levied for obtaining hard copy of a document/ record vis a vis the fee charged for seeking inspection of records. The Commission also felt that the issue under consideration involved Larger Public Interest affecting the fate of all the students who wish to obtain information regarding their answer sheet and marks obtained by them which would understandably have a bearing on their future career prospects which in turn would ostensibly affect their right to life and livelihood. Hence allowing inspection of their own answer sheet to the students ought to be allowed as per the provisions of the RTI Act, 2005. The CIC order also says that the contention of the Respondent that allowing inspection of answer sheet would cause hardship to the public authority in terms of maintaining two parallel systems for providing information, holds no merit in view of the fact that timely access to information is the essence of the provisions of the RTI Act, 2005 and denial of information on such grounds could prejudice a student’s future career prospects and right to his/ her livelihood. Therefore, the CIC order says, “information seeker should possess the right to inspect the documents as per the provisions of the RTI Act, 2005 as per the dicta of the Hon’ble Supreme Court in the judgement of CBSE and Anr. v. Aditya Bandopadhyay and Ors. SLP(C) NO. 7526/2009.